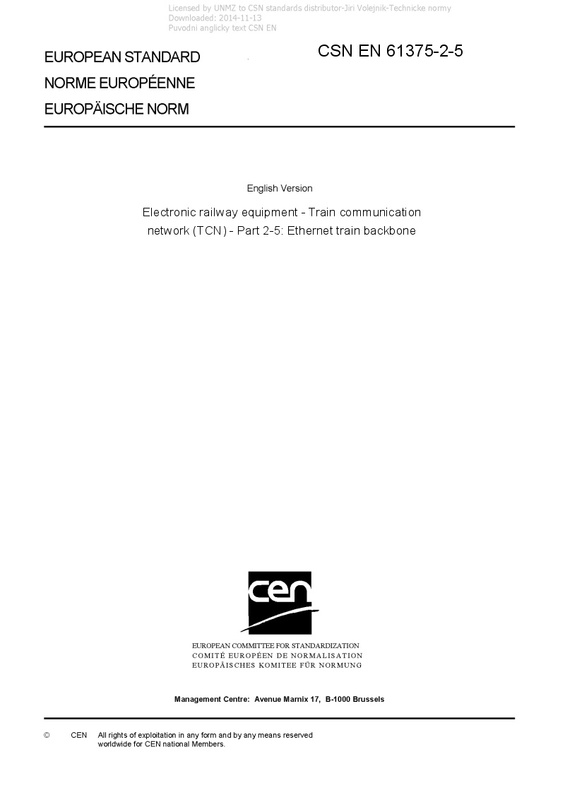 EN 61375-2-5 Electronic railway equipment - Train communication network (TCN) - Part 2-5: Ethernet train backbone - IEC 61375-2-5:2014 defines Ethernet Train Backbone (ETB) requirements to fulfil open train data communication system based on Ethernet technology. Respect of this standard ensures interoperability between local Consist subnets whatever Consist network technology (see IEC 61375-1 for more details). All Consist network definitions should take into account this standard to preserve interoperability. This standard may be additionally applicable to closed trains and multiple-unit trains when so agreed between purchaser and supplier.